Hans Electrical Service specialises in domestic electrical installations including renovations, new installations, ceiling fans, garden lighting, oven and cook tops, hot water repairs, testing and tagging, smoke alarms, surge protectors, safety switches and more. Testing all of your electrical appliances for issues and problems makes a lot of sense, it can give you the peace of mind that you and your workforce are using equipment that are safe from the potential dangers of any electrical faults. Get your electrical appliances tested today. Hans has over 30 years experience (previously owning his own business in Germany) and has built a strong reputation on delivering superb customer service. 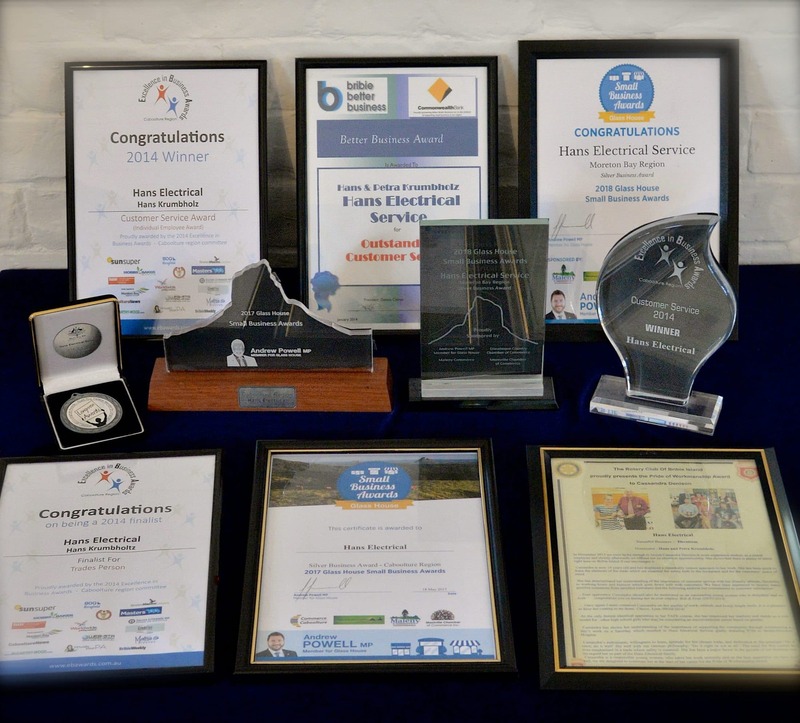 Why choose Hans Electrical Service? Is Your Home or Property Protected?